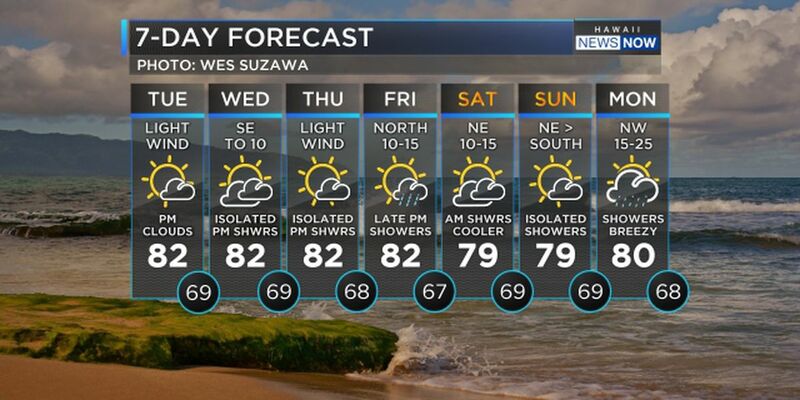 HONOLULU (HawaiiNewsNow) - Stable conditions will prevail through Thursday as a ridge persists in the island vicinity. Showers carried by the south to east wind flow will affect the windward areas at times, while afternoon clouds and a few showers will develop over the islands under daytime sea breezes, and partial clearing at night under land breezes. 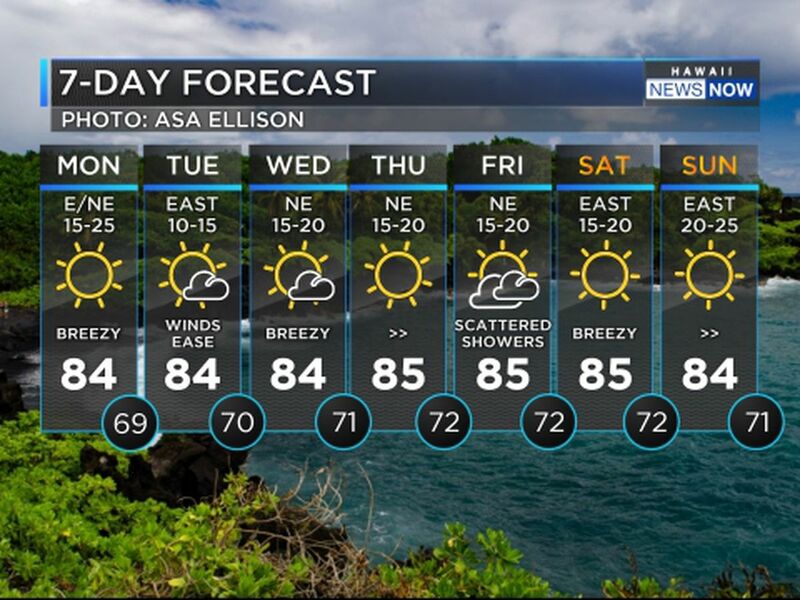 A front is expected to bring an increase in showers Friday into Saturday, with cooler conditions spreading across the islands. An advisory level northwest swell will build through Tuesday. This swell will reach Kauai early Tuesday evening, and peak Wednesday at 10 to 11 feet and 16 seconds. A reinforcing west-northwest pulse arrives Thursday night, peak early Friday, followed by a gradually drop through the upcoming weekend. This translate to an extended period of advisory-level surf to near warning levels, for north and west facing shores, late Tuesday night through Wednesday, then again Thursday night through Friday.